Breckenridge is a skier’s winter playground. 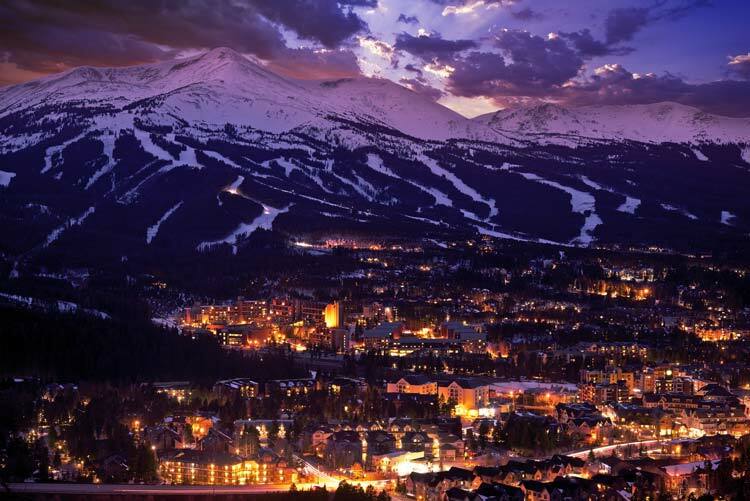 Famous for its snowy slopes, Breckenridge provides guests with a well-rounded vacation experience. It is not just a winter hotspot, but a year-round Alpine attraction is offering things to do in all seasons. The town is rich in history and was originally founded by prospectors in a rush to find gold in 1859.The historic Main Street is lined with places to get a hot cup of coffee, ski gear, and shopping. The town has many events such as a Mardi Gras, and Oktoberfest, and a snow sculpture contest, just to name a few. Breckenridge is a mountain paradise waiting for you to come and explore! The mountain town is a winter delight to skiers and vacationers alike. 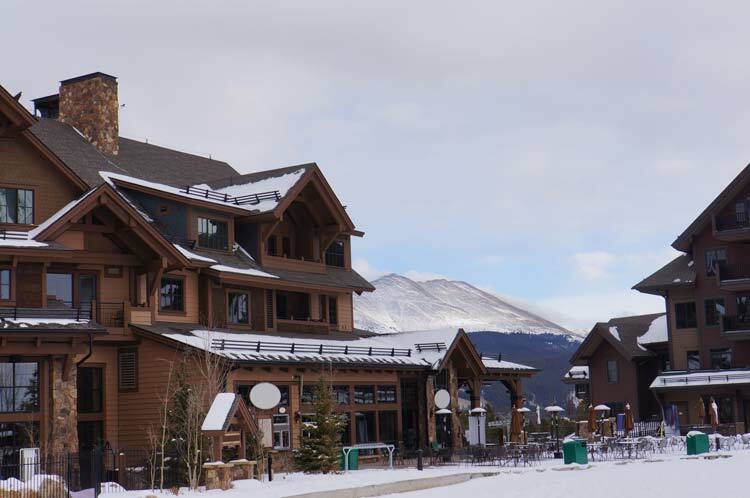 Breckenridge offers some fantastic hotel options for your convenience. The Mountain Thunder Lodge is ideally placed and is a short walk away from Main Street which has dining, bars, and shopping. If you don’t feel like walking, the hotel has a shuttle service. Enjoy the warmth of the hot tubs the hotel offers after a day of fun in the snow. One Ski Hill Place is a Rock Resort located on the slopes, making this hotel a favorite among skiers. You can ski out of place and then ski right back to it. Some of the larger rooms have fireplaces in them. It is not located within walking distance to Main Street, but it is family friendly and offers pool tables and a small bowling alley. There is dining on site, making this hotel packed with amenities and a skier’s dream come true. Valdoro Mountain Lodge is one of the most popular places to stay. Located downtown, it is close to everything including shops and eateries, makes this Hilton hotel one of the most desired places to stay. Although the hotel is downtown, it is also slope-side, so skiers and non-skiers can both enjoy everything the Valdoro has to offer. The rooms are vast and spacious and kept very clean. Enjoy your fireplace as the cold night temperatures drop. These hotels are just a taste of what is offered in Breckenridge. Depending on your budget and what activities you would like to do, there are many hotels to choose from to suit your needs. While staying in Breckenridge, you must try the Hearthstone restaurant. Located in an old Victorian home, its unique setting is known for being quite lovely both inside seating and outside seating. The food and wine are consistently praised, and for those that eat Gluten free, the Hearthstone has a Gluten free menu ready and available. Ask for a table upstairs and near a window to enjoy the beautiful mountains as you dine. Ember restaurant is a savory delight to the taste buds. Foodies will love this place, as Ember’s menu is always changing and the dishes are a culinary treat. The servers are quick and attentive making the dining experience enjoyable. This restaurant is geared more towards adults, so make some new friends and have some fantastic drinks at Ember’s bar. Le Petit Paris is a French treat and comes as a highly recommended place to dine. Le Petis Paris’ menu changes with the seasons offering delicious French cuisine. The staff has been reported as enthusiastic and friendly, making the experience even more enjoyable. The food receives rave reviews as does the staff and attention to every detail. Le Petit Paris is a must for one of your dining experiences! Breckenridge is famous for its winter festivities. See a snow sculpture created by sculptors who flock to the area. The snowcapped mountains are every skier’s dream. Ski season in Breckenridge is November through April. Skis and equipment could be rented at your convenience if you did not bring your own. Sleds can also be rented for family fun. Experience snowmobiling, dog sledding, ice skating, and snowboarding as well. Curl up with some hot cocoa by your hotel fireplace or warm yourself with a drink at one of the main street bars. The warmer months offer a different variety of activities, and there is something for everyone. The temperature hovers around 70 degrees during the summer months, and at about mid-fifties for spring and fall months. The beautiful green landscape in the warmer months provides some fantastic hiking and horseback riding. Try out your golf skills on one of the golf courses, or grab your paddle for some whitewater rafting. Don’t forget your fishing pole for some fly fishing. Head on down to the main street to experience the town activities or do some shopping. 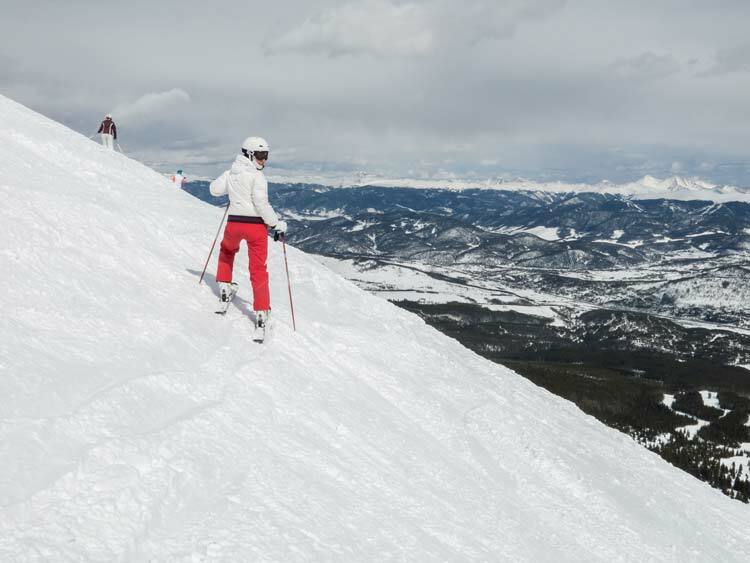 Breckenridge’s snow-covered mountains make it one of the top skiing locations in the country. Several hotels and their amenities are located slope-side, letting skiers walk out of the hotel directly onto the ski slopes. Fireplaces and hot tubs litter the hotels, letting you warm up before catching the first-rate dinner at one of the many distinguished eateries located around town. Shuttle services area available if you don’t feel like walking or if your hotel is located further up the slopes. Main Street offers a striking image of the town, surrounded by shopping, stores, dining, and bars for your entertainment. The town is active year round, providing many spring and summer activities for the whole family. Breckenridge has something for everyone, so come and experience the beautiful and historical mountainside town.